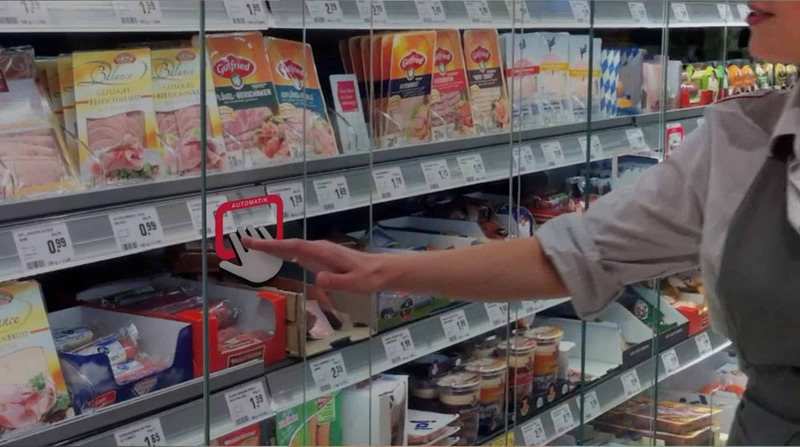 The “Smart access” concept has been developed in cooperation with Schott Food Display for REWE. The aim was to meet the newest environmental standards as well as the modern user’s needs. We created a new generation of super market fridges enabling a clear presen-tation of food and an easy access to all products due to frameless, self-opening doors. 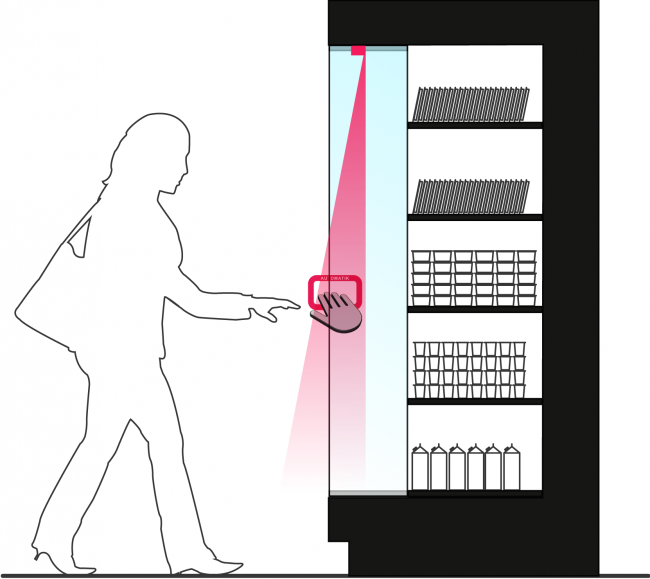 Proximity sensors ensure that these remain closed when no access is needed, whereas there is also a special operating mode for the supermarket staff which keeps the doors open during refilling.